On Saturday, April 13th, volunteers of all ages came out to the First Baptist Church and Christian Education Center in Pompano Beach to participate in HandsOn Broward’s contribution to the “What Will You Bring to the Table?” project. What Will You Bring to the Table? 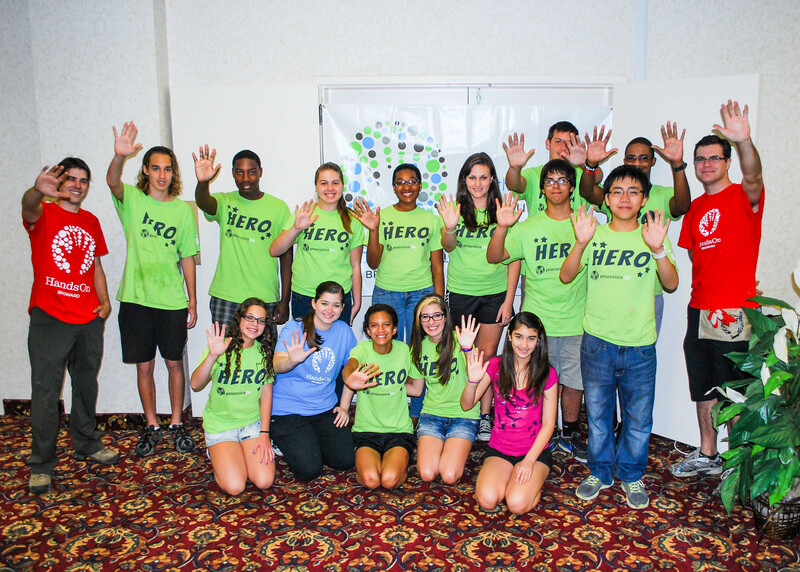 is an initiative through generationOn to mobilize youth to address child hunger in the U.S. by gathering around tables to create service projects that raise awareness and bring collective action to this critical issue. The project’s goal is to reach out to individuals and volunteer organizations across the United States to raise one million meals in six weeks. It’s a lofty goal, but if the work done on Saturday is any indication of what’s happening across America, raising one million meals seems very possible. Sydney Howard and Patty Howard sort donations for the church’s food pantry. On Saturday, volunteers were given the option to participate in several projects around the Church. Near the preschool, some volunteers planted a community garden, which featured plants such as celery, kale and arugula. The garden will give the preschoolers a chance to learn about gardening and harvesting, as well as have access to healthy snacks. 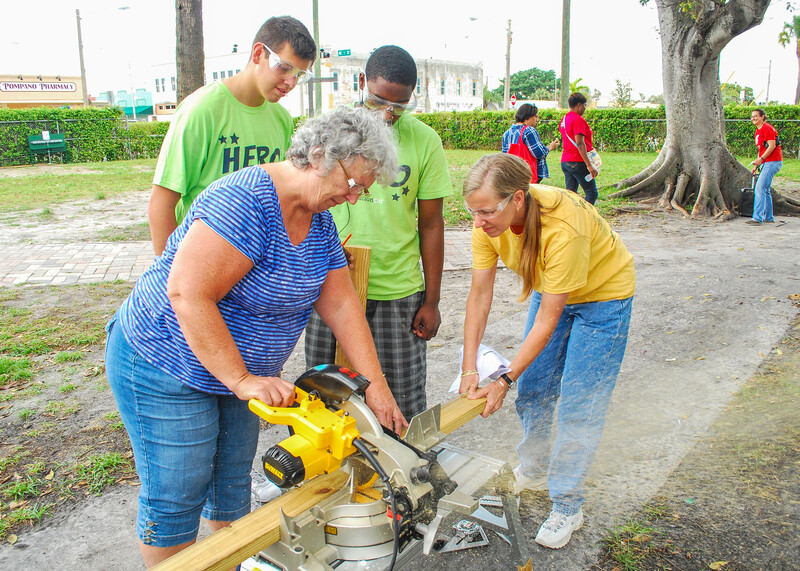 Volunteers build a picnic table for the pantry at First Baptist Church in Pompano. Lourdes Lopez, 14, found that her favorite part of the day was gardening. “I don’t really get to do it much and I really like it,” she said, leaning on her rake. Inside, more volunteers packed and decorated food boxes which will go into the church’s food pantry. Without looking up from the meal box he was coloring, Graham Guay, 10, said that his favorite part of the day was, “everything!” Over 300 food boxes were packed and left at the onsite Food Pantry. 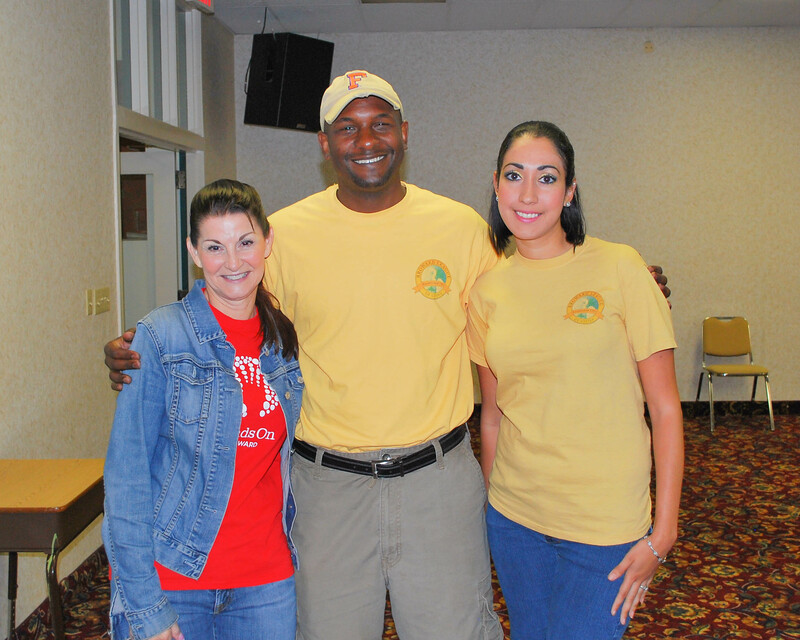 Fort Lauderdale Commissioner and President of the Broward League of Cities, Bobby DuBose (center), volunteered with HandsOn Broward CEO Dale Hirsch (left), and Broward League of Cities’ Sely Cochrane (right). Other volunteers decided to build a picnic table for the preschool. The significance of the picnic table is that it symbolizes the message of “What Will You Bring to the Table?” and serves to represent the goal of combating child hunger. So far, the “What Will You Bring to the Table?” project has raised 334,861 meals. Volunteers can submit photos of their own projects to combat hunger online at whatwillyoubringtothetable.org. Some may give a few hours a week to volunteering, but Jackie Byrne-Garcia, April’s Volunteer Spotlight, gives her whole life to her volunteer work at HAPPI Farm. Located at Southwest Ranches, HAPPI Farm allows for disabled children and adults to interact with farm animals. Guests at HAPPI Farm, which stands for Horse and Petting Pal Interaction, Inc., can ride therapeutically trained hoses and interact with many of the animals who make their homes at HAPPI Farm, including goats, chickens, pigs and bunnies. 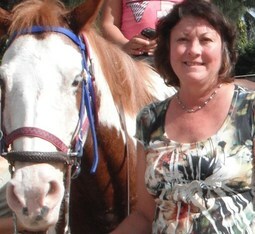 Jackie found more than a place to occupy her free time, she found a new passion, a new pet and even new friends. After making a call to HAPPI Farm to schedule her first volunteer visit, Jackie and the director of HAPPI Farm, Marie Lim, hit it off immediately and became instant friends. Later, Jackie discovered that she and Marie only lived three blocks from each other. Even Jackie’s family has become involved at HAPPI Farm. Her five-year old granddaughter, Janessa, acts as a tour guide and leads parents around the farm. Jackie has become so involved in HAPPI Farm that she has been promoted to the Board of Directors and she is now planning her own event for the farm: “Farm Fun”, a program which allows both disabled and non-disabled children to spend a few hours with the animals on the farm. HAPPI Farm is always looking for help around the farm. A typical day for volunteers can range from helping saddle the horse, brushing the horse, helping patients onto the platform, walking alongside students and holding their legs during therapeutic riding lessons.